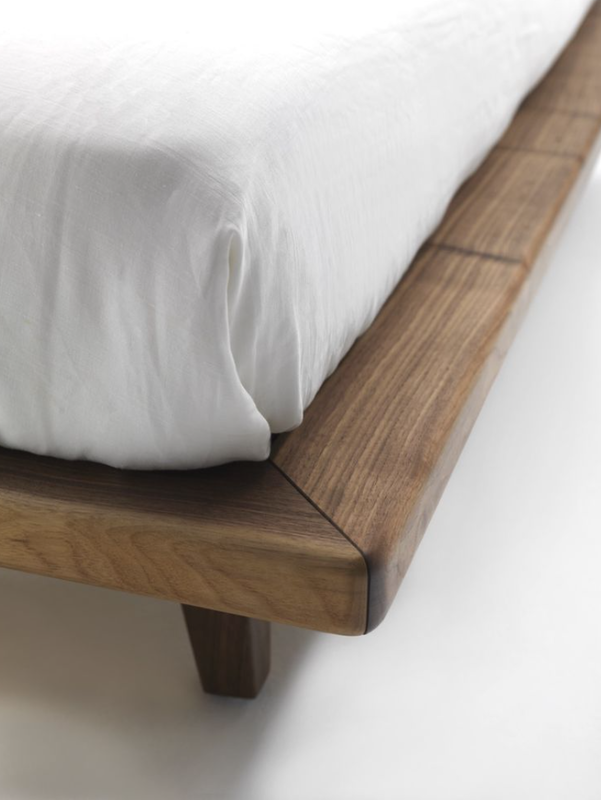 Bed with structure in solid wood and padded headboard with soft and rounded lines, covered with fabric or leather. Rounded bed sides, mattress laid on, and slats in scented pine. Finish: base of natural oil / wax of vegetable origin with pine extracts.